African American Brides Blog: Do Home Weddings Really Save Money? What a great article- I originally went this route myself and after looking at everythig & factoring the headache of taking care ALL of the details down to the smallest thing- I of course chose a reception site instead! Very informative post. A lot of people don't realize that. I had family members recommend this for my wedding...and I immediately told them why it wouldn't work. 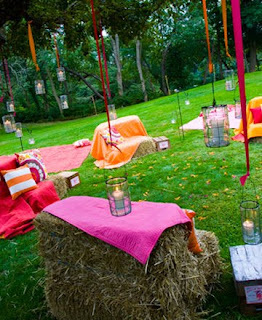 A backyard wedding works best for smaller weddings and where houses are further apart from eachother. Completely agree! I wanted a backyard wedding when my mom lived in her house on 4 acres. It was literally the perfect setting, rural, houses farther apart etc. She downsized onto 1/2 an acre and it pretty much ruined that dream for me lol!! This is a great article. It would be very useful for those who want to get married but really want to give a try on having a beautiful wedding but cost friendly. Wedding is never cheap although you do in the house or outside.